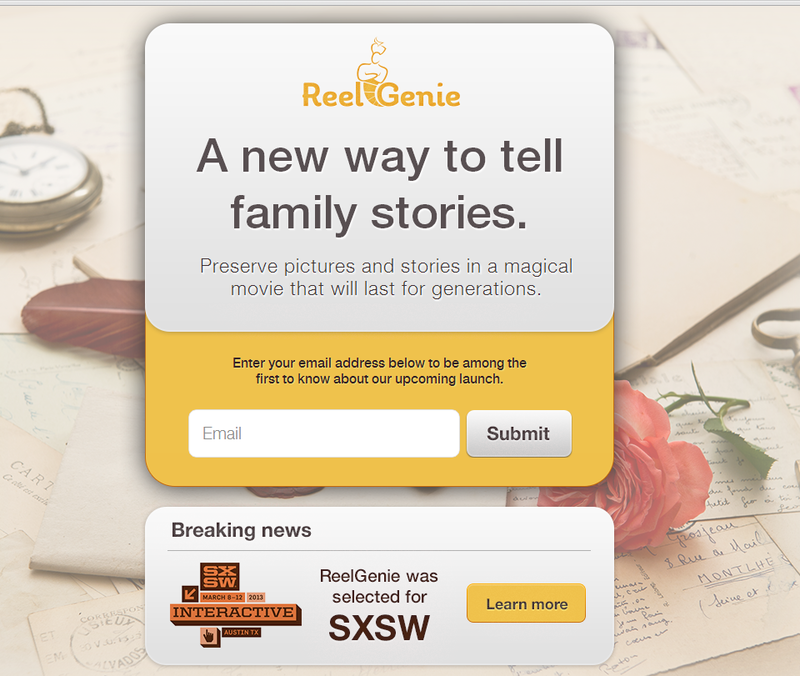 "Big news for my client ReelGenie – I don’t know if a family history related app/website has ever been selected for the South By Southwest (SXSW) festival in Austin, TX before! Ol' Myrt here first heard about ReelGenie from Thomas when we spoke in person a few months ago. I love the concept of drag and drop video creations using your photos, adding your stories and who knows what else. The site still isn't open, but you can register your email address to be among the first to know about the official launch.